The spread of infection in any nursing facility could place the health and well-being of every resident in immediate jeopardy. Because of that, federal and state nursing home regulatory agencies have developed strict guidelines on cleaning protocols that must be followed by the nursing staff and employees at every facility nationwide. Sadly, the Chicago elder abuse attorneys at Rosenfeld Injury Lawyers LLC have handled many nursing home claims for compensation for victims who have suffered serious harm to their overall health or have died prematurely due to the spread of a preventable infection. 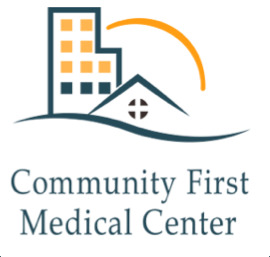 Services provided at Community First Medical Center include physical, occupational, and speech therapies along with rehabilitation for lymphedema management and balance treatment. In an effort to provide the latest information on nursing facilities in the United States, the federal government, and state of Illinois routinely update their nursing home databases. The information reflects currently opened investigations, filed complaints, safety concerns and health violations with the results published on numerous websites including Medicare.gov. This failure was first noted at 11:30 AM on 05/02/2015 when a housekeeper “demonstrated sanitation of an isolation room.” Upon observation on that date, the housekeeper “demonstrated the cleaning of the toilet with a brush [...and then] took the brush, rinsed it off the water and placed it in a dry cup holder.” In an interview with the housekeeping manager, it was noted that the correct procedure for using a toilet brush “should always be rinsed with bleach before the next use” as not to spread contamination. If you suspect your loved one has suffered injuries or died prematurely due to a preventable infection acquired while residing at any nursing facility in Illinois, including Community First Medical Center, Rosenfeld Injury Lawyers LLC can help. Our Cook County elder abuse attorneys can provide numerous legal options on how to obtain the financial compensation you and your family deserve for your damages. To ensure that your financial recompense case is successfully resolved, we encourage you to contact our Chicago Illinois nursing home abuse law firm at (888) 424-5757 today to schedule a no obligation, free case evaluation. Because we accept all personal injury cases on contingency, no upfront fee is necessary.